The Czech Republic (or Czechia as it’s now officially known), is famous for its fairytale landscapes, castles, and of course the bustling historic city of Prague. But there is another area where the Czech Republic is beginning to shine. Outdoor adventure travel enthusiasts, take note! The Czech Republic is a hidden secret for outdoor adventure and beautiful nature experiences. Both winter and summer activities are beginning to attract travelers looking for thrills and fresh air - and then maybe a castle tour or two. Boasting a diverse landscape, including lakes, caves, and mountains, this is the place to come for hiking, photography, and getting close to nature. The region is most notable for hundreds of unique gorges, which you can experiences via land or water along the River Kamenice. The top suggestion in both cases though is to take your time to truly appreciate the majesty and romance of this fairytale landscape. 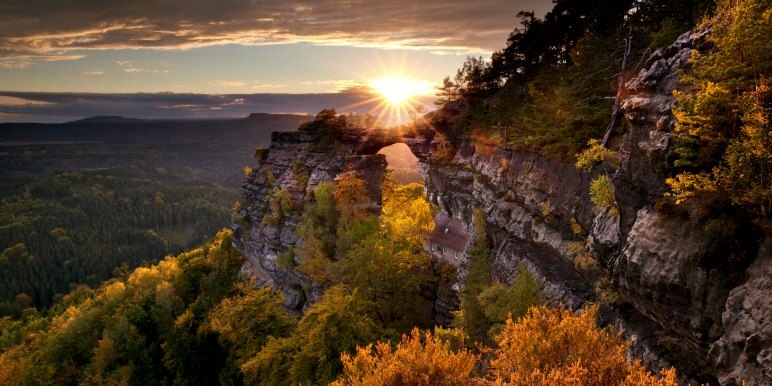 This mountain range is home to numerous waterfalls, falling from impressive heights, some feeding the Elbe River. Glacial formations and stunning sweeping views around every corner. It’s also possible to hike and be outside throughout the year as, even though it snows, the climate is relatively mild. One popular hike leads you to “Devil’s Eyes” a series of naturally formed indentations along cliff walls, created by the force of water from Pančavský Waterfall. In the wintertime the mountain town of Harrachov offers a spectacular snow sport getaway, particularly attractive to families, with three separate ski areas. The slopes are not terribly steep and the snow has a reputation for being perfect year after year due to Harrachov’s low enough altitude. 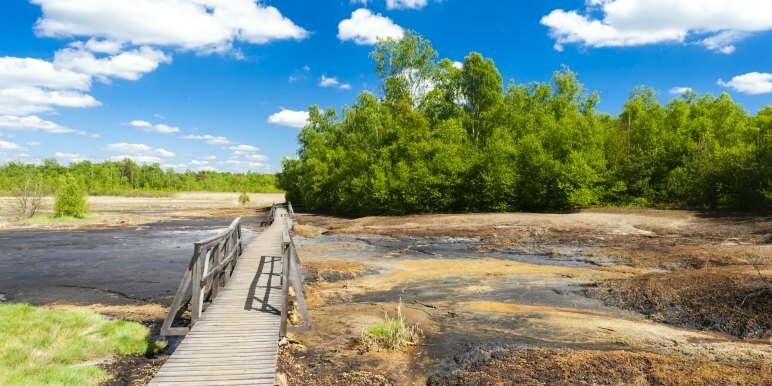 Miles of peat bogs with slatted walkways weaving their way through will make you feel like you’re in the middle of a fantasy landscape on an epic adventure. The landscape also boasts numerous mineral springs and a natural museum to learn about the wildlife, ecology, and volcanic activity of the area. This incredible area is not far from the renowned Františkovy Lázně spa - the perfect bookend to a long day outside. To walk through the winding trails is to walk through 3 million years of history and evolution. If you are a natural history buff, this is the place for you. The parks main draw is it’s connection to the time of the dinosaurs. Enjoying using Stride? Let us know what you think in this short survey! The Czech Republic is not only stunning above ground. 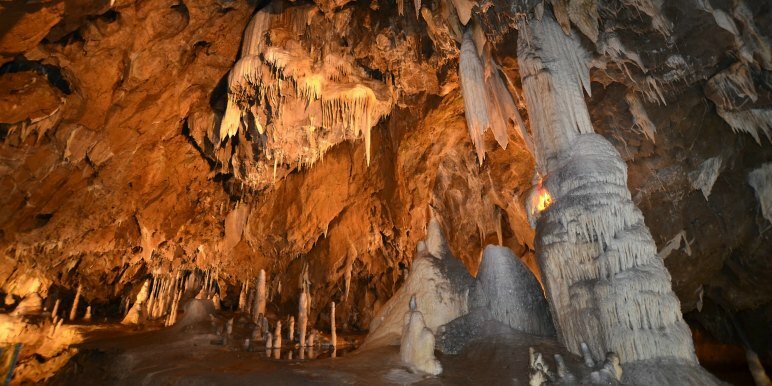 Below ground features vast and incredible cave landscapes. Czech folklore and legends surround these environments and it’s not hard to see why. If there was ever a real location for mountain trolls, this would be it. Many tales will come to life as you explore these underground labyrinths. The Macocha Abyss is one of the top tourist attractions here. This gorge or sinkhole is 138 meters deep and well worth hiking through. Punkva Cave as well beckons adventure seekers eager to enter the dark mouth by way of the Punkva river. Castles nestled amidst miles and miles of wilderness is a hallmark of the Czech Republic once you venture outside the main hub of Prague. Now, you could visit by car, but there’s also a way to experience the fairytale forests by bicycle! The Ohre cycling route explores the Western Bohemia region, starting in Germany and winding all the way to Prague. One of the castles visited on this route is Karlštejn, an imposing and historic building - well worth stopping to take a lingering look around. Kings of Bohemia resided here from the time of the 12th century. 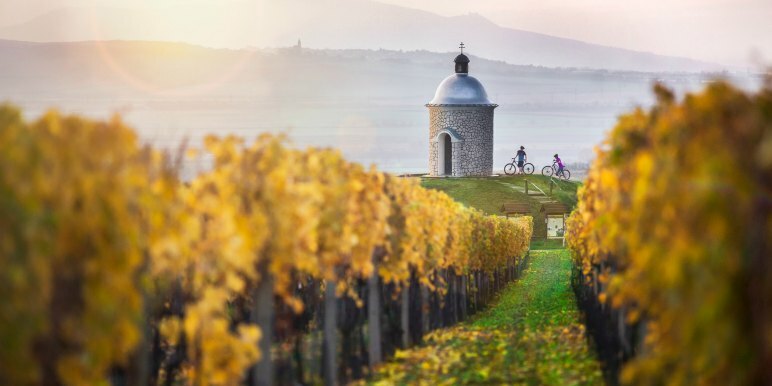 What could beat visiting this little known haven of vineyards and sun kissed fairytale landscapes? Part of the Lower Morava Biosphere Reserve (a protected UNESCO site), Pálava is the perfect getaway. This is one of the warmest regions in the Czech Republic, making it nice to visit almost year round - a good trick for escaping the tourist crowds in the summer and mid-winter. Hiking trails abound in Palava, including a winding network connecting the tucked away wineries of the village of Pavlov. Check it out in Autumn during harvest and maybe catch a festival or two! This natural area has remained largely untouched, as it occupied space behind the Iron Curtain for several years. 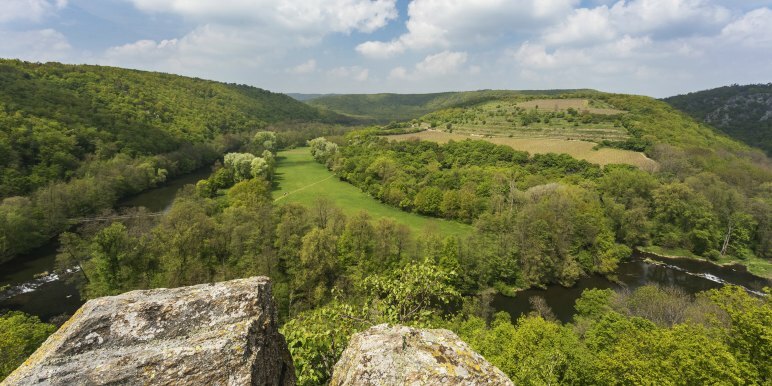 This is the smallest national park in the Czech Republic and visitors are just beginning to know about it’s beauty. Sharing a border with Austria (on the Austrian side, the park is called Thayatal National Park), the park is one of the best places in the Czech Republic for observing incredibly diverse wildlife. The geographical location with it’s mild climate, sunshine, coupled with the area’s unspoiled nature make it perfect for uninterrupted and rewarding wildlife viewing and photography. Keep an eye out for incredibly rare butterflies, and bats making their way out at dusk. Wow - love this list! Didn't know there were so many great hiking options in the Czech Republic. Can't wait to visit!